On 20 April 2018, the launch of seven new exhibitions and a 4D multimedia fountain show will mark the fifth anniversary of Daugavpils Mark Rothko Art Centre. 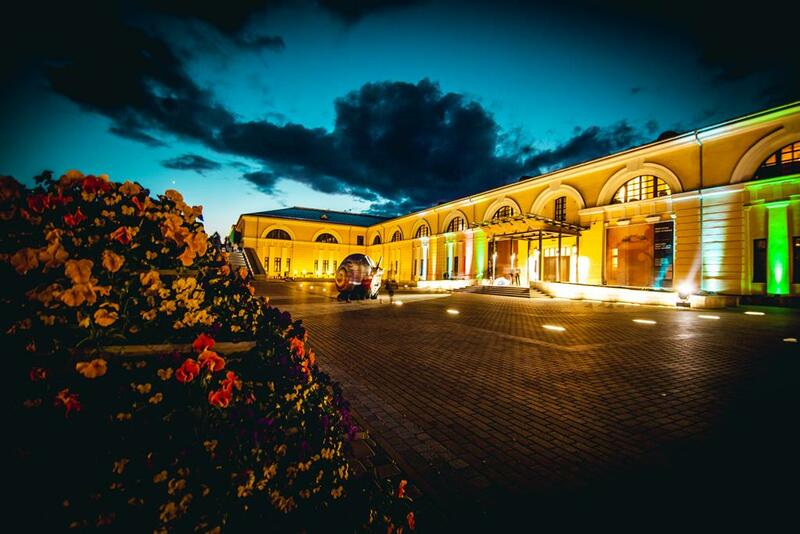 In April, five years will have passed since Daugavpils Mark Rothko Art Centre opened its doors to the public as a multifunctional hub of contemporary art, culture and education in the historical Daugavpils fortress. On the night of its anniversary, the centre will become a portal between things old and new, well known and undiscovered, yet altogether rare and exceptional. Throughout the day, the public will be able to enjoy the photo exhibition “This Side of the Sun” by Uldis Briedis, which will run within the framework of the 2nd International Rīga Photography Biennial. Another opportunity to appreciate diversity of photography will be provided by the final exhibition of the 2nd international photography symposium of Daugavpils Mark Rothko Art Centre. As usual, the spring season will feature a juried group exhibition by artists from Latgale region “Another Spring – In Flood”. In addition, the viewers will be offered three solo exhibitions – “Conversion Device” by Georgian artist Rusudan Khizanishvili, “Invisible Worlds” by Madara Gulbis and “Nature is Silent” by Ieva Jurjāne. Finally, visitors to Daugavpils Mark Rothko Art Centre will be surprised by a new art project “What is an Image? Life and the Art of Perception” from Pashmin Art Gallery in Germany. At 8 p.m., after the opening of the new exhibitions, in the courtyard of the Rothko Centre the public will have a chance to enjoy a 4D fountain show – one of a kind in the Baltic region. Water, music, light, video projections and lasers will be fused in a singular performance, dedicated to Daugavpils Mark Rothko Art Centre on its fifth anniversary. On the day of its fifth anniversary celebration, opening hours of Daugavpils Mark Rothko Art Centre will be changed. Thus, on 20 April, the centre will be open to the public 12 noon through 8 p.m., and entrance will be free of charge. Supporters: Daugavpils City Council, State Cultural Capital Foundation, Caparol, Valmiermuiža Brewery, Devona.